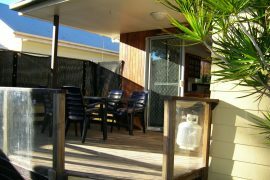 Wynnum Manly Hideaway offers five comfortable and self-contained homes to contract workers and work groups on a business trip to Brisbane. 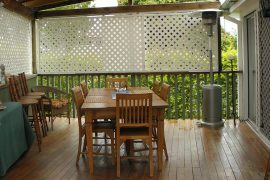 But as many of our guests have found, there is more to our homes than just business accommodation. Can’t wait to stretch your legs, or sleep in your own, comfortable bed after a long flight? You won’t have to wait long if you’re staying at any of our homes! 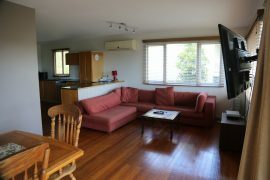 Depending on the home you have booked to stay in, the Brisbane airport is between 16-22 min away by car. Showing up on time for your client meetings in Brisbane easy if you are coming from any of our homes that are situated 25-35 min away from the Brisbane CBD by car. Taking public transport is not a problem! 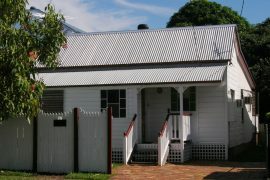 We have homes that are only a short, walking distance away to bus and train stations that go to Brisbane CBD. We understand that your business trip will most likely involve time-consuming activities such as sending emails, making phone calls, going to client meetings and typing reports. That’s why we have designed our homes with your convenience in mind to save you more time in doing your work tasks. All our fully-furnished homes include a full kitchen set-up complete with dishwasher, full-size refrigerator, oven and stove top, as well as laundry and ironing facilities to ensure your clothes will always look presentable during your client meetings. Our homes have a minimum of three, and a maximum of five private bedrooms. All have clean bathrooms, some of which are en suite. 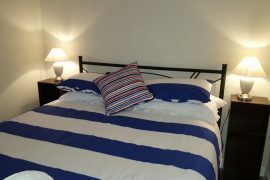 Linens and towels are provided for your convenience. All our homes are private, stand-alone properties, so you can rest assured that your need for complete privacy will be satisfied! Even if you are travelling with a large work group, you are guaranteed to find your own work space within the walls of our spacious homes. If working close to nature is your thing, feel free to set-up your temporary office in your own private, fully-fenced backyard that is teeming with greenery. For your peace of mind and safety, we offer homes with off-street parking and extra high carport. A key lockbox can be found at the entrance of our homes. Send and receive emails, hold video conferences and upload your reports to the cloud with ease! All our homes offer fast and free internet service so you can perform your work tasks on time, even from your own bedroom! Perhaps you flew in to Brisbane primarily for business reasons, but that doesn’t mean that’s all you should do while you’re here! Our five homes are located in Wynnum and Manly, which are two bustling suburbs that offer locals and visitors alike with an unlimited list of fun and entertaining activities! Reward yourself after a productive day by taking a relaxing stroll along the esplanade, joining a Yoga class or dining in one of our restaurants and bars located over the water. Challenge your colleagues to a fishing adventure, or dance the night away at our bars and clubs. The best part? Most of these amenities are located near our homes, making it easier for you to have a truly memorable business trip!